Do Bee Pollen Diet Pills Work? Manufacturers of bee pollen diet pills claim these pills create a thermogenic effect in your body, which means increasing the heat your body emits, in turn boosting your body's metabolism, increasing energy, burn fat, and aiding in weight loss. However, weight loss from bee pollen has not been scientifically proven. Research studies do not support the effectiveness of bee pollen diet pills for weight loss. 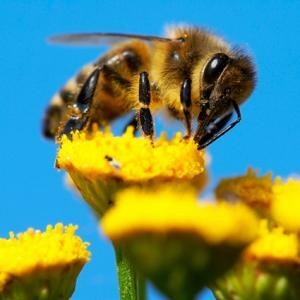 In fact, some animal studies report that bee pollen actually helps promote growth and weight gain. One human case study published in 2010 in Therapeutic Apheresis and Dialysis reports that after taking a bee pollen supplement for five months, a male patient gained about 45 pounds of water weight and had renal failure. A study published in 2011 in the Journal of Animal Physiology and Animal Nutrition found that bee pollen increased weight gain in young rabbits. Can Bee Pollen Restore Color to Gray Hair? Instead of ingesting potentially harmful bee pollen diet pills to boost metabolism and lose weight, try natural foods and products that are scientifically backed by research. Green tea has been shown to increase metabolism and promote fat oxidation, according to a review published in 2010 in Physiology and Behavior. Fiber and fiber supplements enhance weight loss, reports a review published in 2009 in Nutrition Reviews. Protein increases satiety and your metabolism, and aids in healthy weight management, according to a review published in 2008 in Current Opinion in Endocrinology, Diabetes, and Obesity. Protein-rich options include egg whites, grilled chicken breast, very lean red meat, seafood, legumes and low-fat dairy products. If weight-loss is your goal, your best bet is to skip bee pollen diet pills and adopt a reduced-calorie diet plan that includes a regular exercise regimen. You don't need diet pills to safely lose weight effectively.